I went to make my bread recipe and discovered I was out of Brown Sugar. 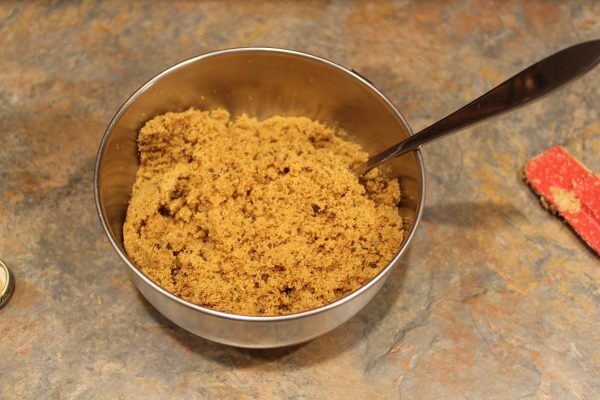 Uh oh…….then I remembered that when we lived in Germany I had to make my own Brown Sugar because there is no such item for sale over there. 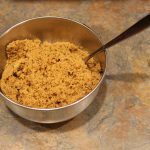 So, I got out the simple 2 ingredients the recipe calls for and minutes later I had a bowl full of delicious Brown Sugar! 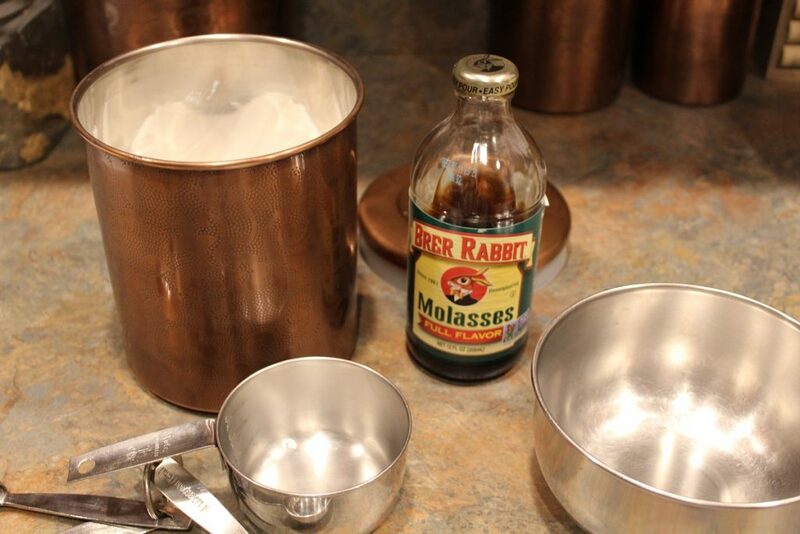 All you need is plain old white Cane Sugar and Molasses. I think a lot of people have a bottle of Molasses lurking about in the back of their pantry waiting for it to have purpose for being and this is a great way to use it. Ready? This is all we need today. Place the Cane Sugar in a small bowl. 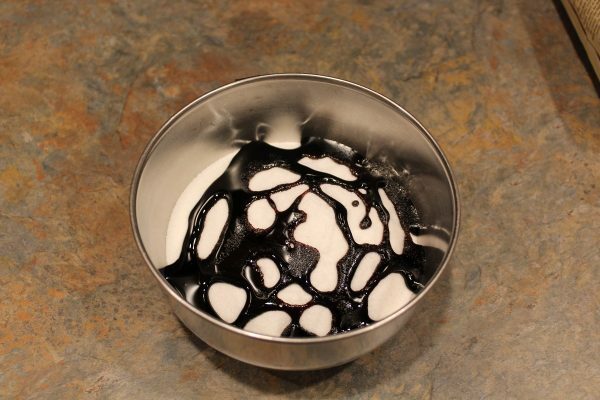 Drizzle the Molasses over the top. Take a fork and start stirring this mess together. Keep stirring until the Molasses is fully integrated into the Sugar. This is great. I’ll remember this if I ever need it in a hurry. It really saved the day here as the nearest grocery store is 12 miles away!